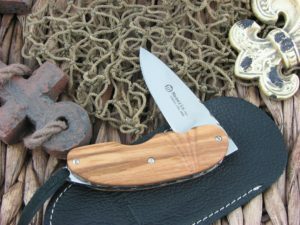 The Maserin Cutlery Arint model is a great pocket knife for those wanting something that disappears in the pocket. 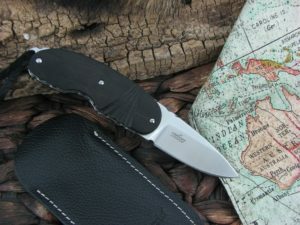 The Arint is made with N690 steel and is a front open model with leather lanyard. 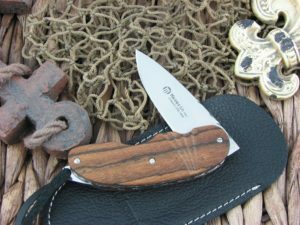 Nicely worked backspring and scalloped handles give the Maserin Arint a touch of class.